The Last Warm Day of the Year? Like an episode of Seinfeld, this post isn’t about anything. 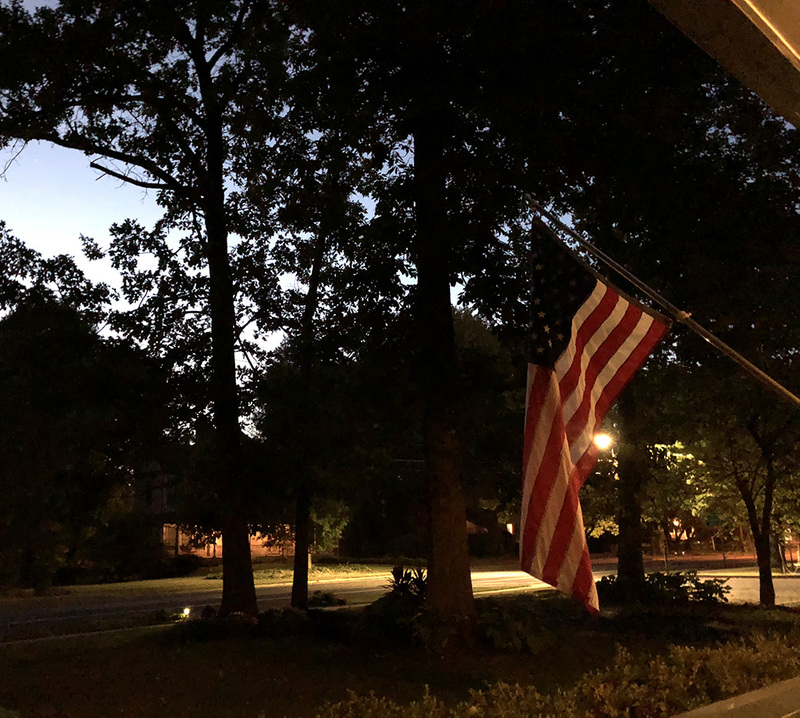 Just some musings as I sit on the front porch in the middle of October, wearing a t-shirt and shorts, with a temperature in the 80’s at 9 o’clock. When Tate and I returned home with our pizza (another gourmet dinner), the digital gauge in the SUV of the external temperature read 88°. Global warming, I suppose. A cynical person might say the planet has been warming since the last ice age. Guess it’s a good thing I don’t know any cynical people. Whatever the reason, I’m enjoying the evening here in famous Ferguson. The katydids, crickets and tree frogs are in fine form, serenading me as I’m enjoying what may be the last warm day of the year. The forecast is calling for a low of 44° tomorrow, that’s quite a drop. There is slight smell of ash in our 1890 house. I don’t know for sure, but I’m wondering if because the outside temperature is warmer than the inside that the air is not flowing down through the three chimneys on the first floor rather than up. Having said that, the entire summer would fit that description, so that doesn’t explain it. The smell is not so unpleasant as to spend any more time contemplating the cause and it is a reminder of fires to come. If winter has any redeeming value, it is the joy of a warm fire on a cold evening. 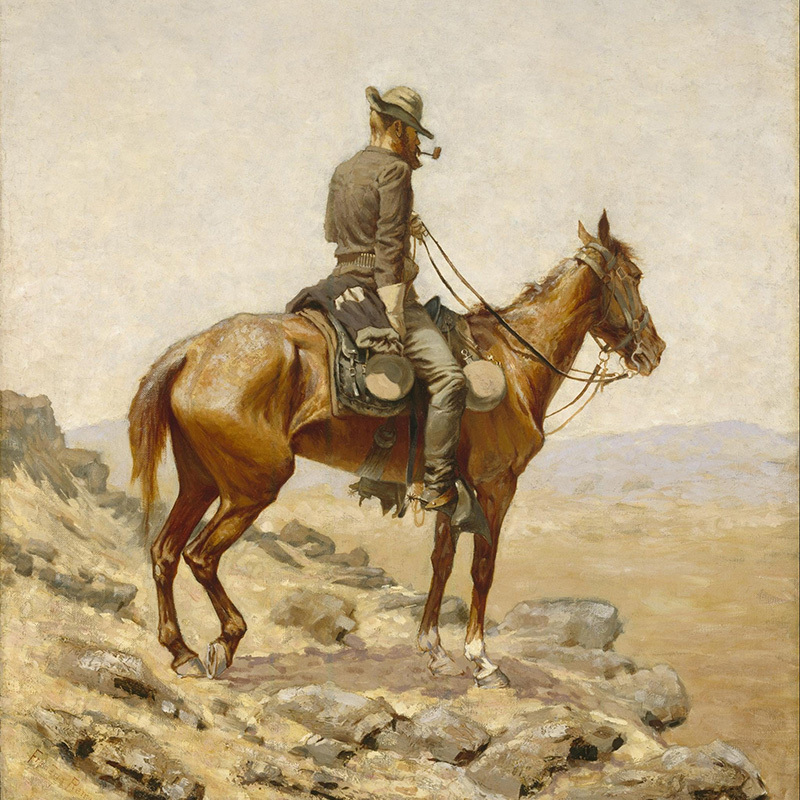 I know all to well, that it won’t be long before I step out on the front porch, and there will be silence. The tree-top musicians that are still providing the soundtrack of summer, tuned into the temperature rather than the calendar date will be dormant. Until then, I will enjoy their symphony. Mrs. G, our semi-feral cat has decided to join me on the front porch. How we came by Mrs G is a whole different blog post, but I should at least explain the name. We simply tired of calling her, “that grey cat” and she became Mrs. G.
I spent most of the day working outside, rebuilding the fence around the pool, yes I know, a first world problem if there ever was one, but Mrs. G enjoyed the company. Like most cats she wants some attention, but not too much. A brave man would draw parallels to women about now. Guess it’s a good thing I don’t know any brave men. The sun rose before Mrs. Poppy and myself. By the time we left Sikeston, Missouri the sun had been up an hour or more. We woke to a foggy landscape that would stay with us through most of the day. The fog was not so dense that it made driving dangerous. We had at least a half-mile of visibility down the road. 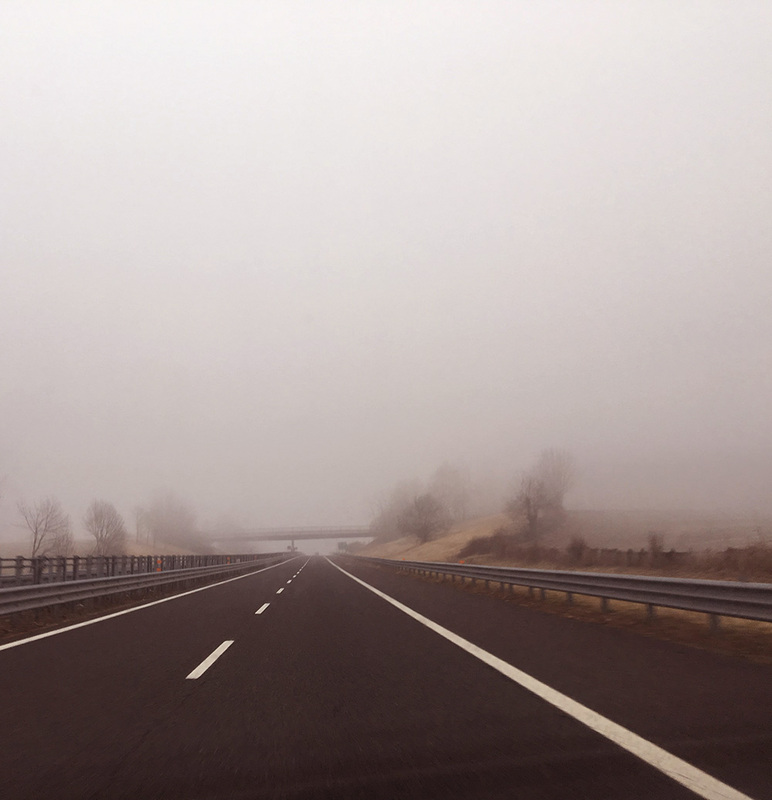 At that point cars traveling in our direction, would abruptly disappear into the mist. On the opposite side of the highway, cars would suddenly appear as if emerging from an other-worldly portal. Even knowing we were headed north, I could not locate the sun that bathed the landscape in a warm glow, softening the edges of everything it touched. The vista outside our windshield became an impressionistic painting as the fog settled into the valleys and low-lands that we passed, creating lakes and rivers of swirling grey mist. When Mimsy and I went for our walk tonight, you could tell the season was beginning to change. Sure it was October 1st, you would expect it by that date, but we’ve had a run of very hot days at the end of September. Tonight though you could believe in autumn. For a few moments the breeze picked up and the sound of rustling trees and fallen leaves skittering across the sidewalk drowned out the hum of distant cars and the rhythm of persistent nocturnal insects. Not only could you feel the change in the air, you could hear it. We had just finished the quintessential Sunday dinner of pot-roast, potatoes, carrots and warm bread. 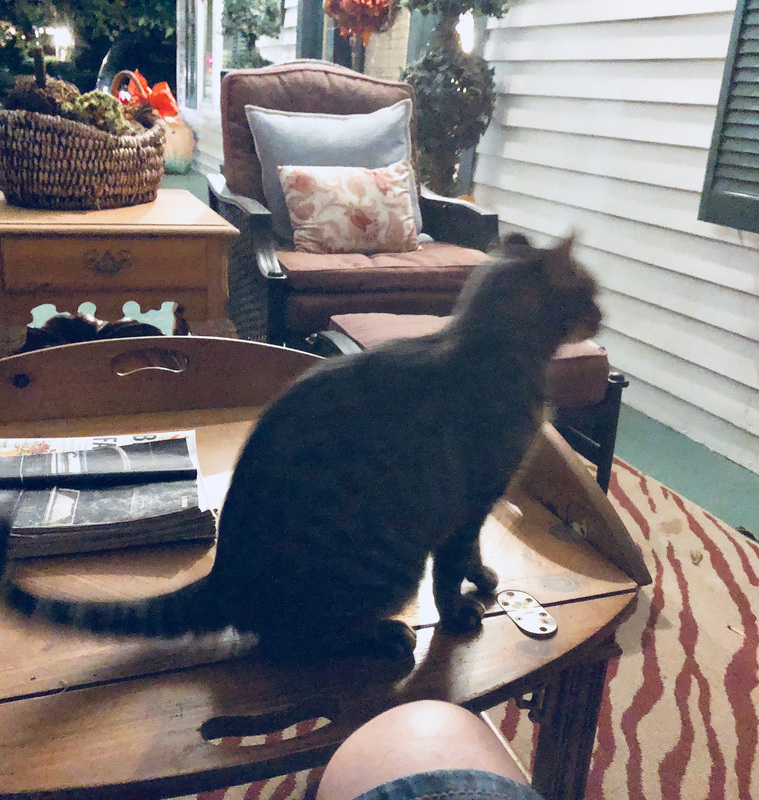 When we returned home, I gave Mimsy the option of staying on the front porch with me as I finished my glass of wine, but the lingering smell of roast and activity inside the house was too much for her so I had the porch to myself. The sun had set without fanfare, but the sky in the western horizon remained a brilliant blue. It silhouetted the trees and houses along Elizabeth Avenue. As it’s glow slowly faded, I rewound the events of the previous hours. By any measure, it had been a wonderful day. The weather was perfect, we needed the rain, but today I don’t think anyone was willing to trade the weather we had for a rainy day. My grandson had spent the night before with us and stayed through most of the day. After I took him home, I stopped by to see my mother at the skilled nursing facility where she lives. It’s not that I want to lose my mother, but her quality of life has deteriorated so badly and Alzheimer’s has robbed her of most her memories, that I wish for her the peace she seeks. After telling her multiple times, it bothers me slightly that she doesn’t know who I am. I console myself with the knowledge that she is grateful for any visitor. But what crushes me, is that she doesn’t remember my dad, her husband, at all. They were married for 78 years and were inseparable. They set the standard for me of what a married couple should be, always faithful, always loving, and now she doesn’t remember him. This is when I question God. I search for answers, for knowledge … is there something I should be learning here? I can’t bring back my mother’s memories but I can honor them. I can try to remember everything my parents gave me. Not the material things but the values, the principles, the love that was modeled before me everyday. I can do my best to pass down the memories to my children and grandchildren of the artist and pragmatic businessman who had 78 wonderful years together.